First SUV from the British manufacturer. 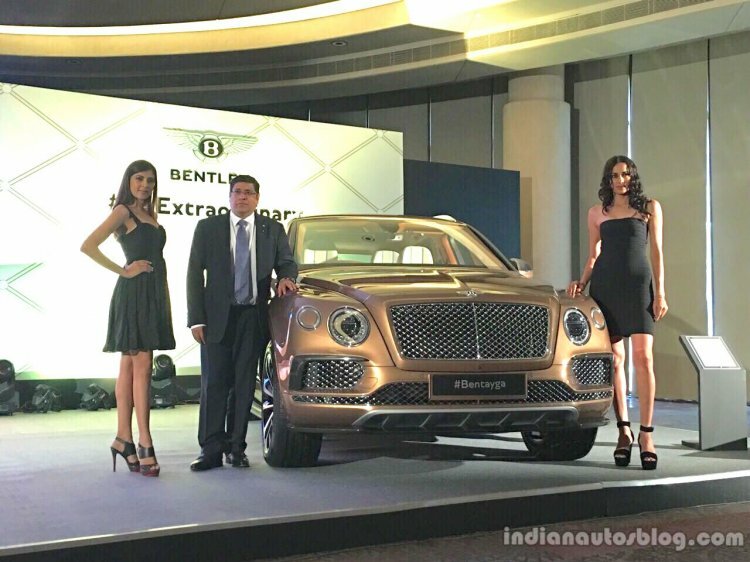 Bentley has unveiled and launched the Bentley Bentayga in Delhi, India today. The first SUV from Bentley has a price tag starting from INR 3.85 crores (ex-showroom Delhi), which will significantly increase once the optional features are selected in the spec sheet. The first SUV from Bentley has a price tag starting from INR 3.85 crores (ex-showroom Delhi). The Bentley Bentayga features a familiar design that draws cues from the current model range, featuring a pair of headlights with separate LED DRLs, characteristic mesh grille, large intakes, a “Flying B” side intake, chrome accents, a strong rear haunch and 21 inch alloy wheels. The rear-end is sloped towards the front, and gets angular LED taillamps, roof spoiler, a bold chrome line running across the lower fascia, and dual exhaust tips. 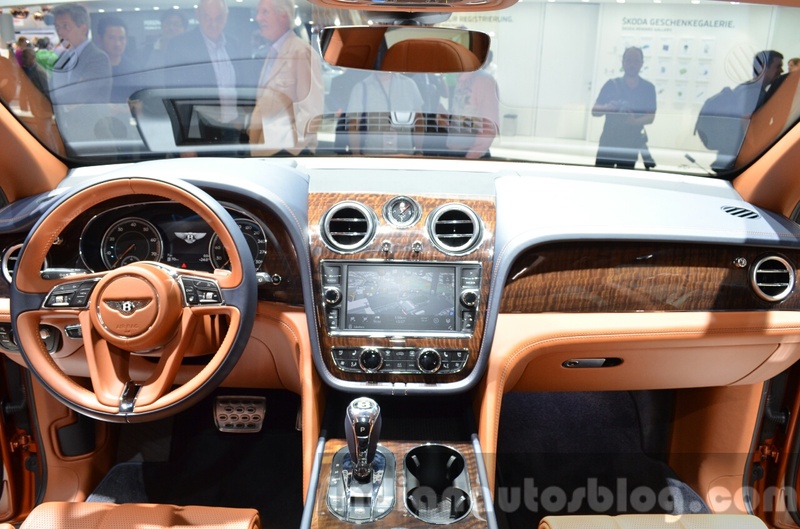 Inside, the Bentayga adopts a design that is an evolution to the ones seen in the current models. It is equipped with a large multi-information color display, start-stop button on the Terrain selector, stubby gear selector, new steering wheel design, and a Head-Up Display. For infotainment, the Bentayga relies on an 8-inch touchscreen system on the dashboard, which supports 30 languages and has an in-built 60 GB hard drive. Inside, the Bentayga adopts a design that is an evolution to the ones seen in the current models. The Bentley Bentayga packs a revised version of the 6.0-liter twin turbo W12 engine, which outputs 608 PS and 900 Nm of torque, making it the most powerful production-spec SUV in the world. It is paired to an 8-speed automatic transmission with paddle-shifters, sending power to all four wheels via an AWD system with a sophisticated drive selector. The Bentayga is capable of sprinting from 0-100 km/h in 4.1 sec, before hitting a top speed of 301 km/h.